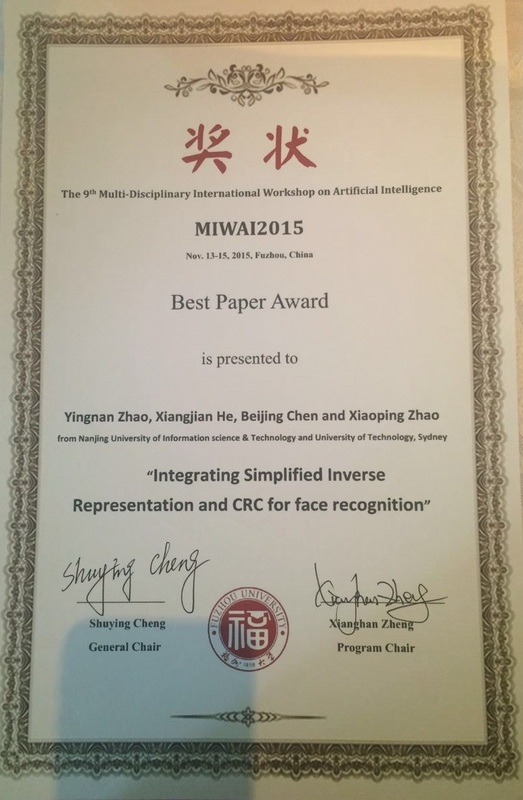 Congratulations to Sean He for winning the best paper award at the 9th Multidisciplinary International Workshop on Artificial Intelligence (MIWAI), 2015! © Copyright UTS - CRICOS Provider No: 00099F - 23 April 2018 12:02 PM. The page is authorised by Deputy Vice-Chancellor and Vice-President (Corporate Services).